A dependance on the iPhone for the majority of its revenue and a saturation of the smartphone market has contributed to a downgrade of Apple's shares from HSBC, which shifted Apple down from a "Buy" grade to "Hold" and a reduced 12-month target price from $205 to $200. In a note seen by AppleInsider, HSBC's Erwan Rambourg believes that Apple's hardware unit growth is "broadly over for now." While sales have stalled, Rambourg claims that revenue growth is only supported by higher average selling prices for iPhones, as well as the continued and predictable growth of Apple's Services business. 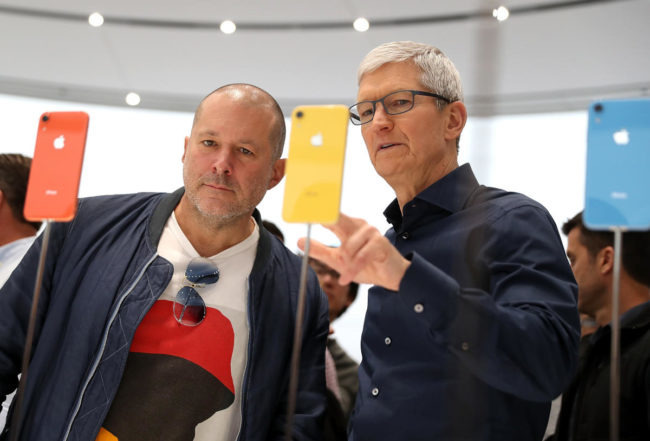 The analysts also offered the stark warning that "what has made the success of Apple, a concentrated portfolio of highly desirable (and pricey) products is now facing the reality of market saturation." The flat unit growth is noted to have "hit Apple's share price and incidentally its key suppliers," referring to a string of companies that provide components for Apple's smartphone that are warning of lower revenues for the quarter. Ambient light sensor supplier AMS, Japan Display, Lumentum, and Qorvo all slashed their forecasts in the middle of November following reports of production cuts for Apple's current generation of devices. Rambourg says that Apple stock investors are in a position where it is "too late to sell, too early to buy." On the heels of the report, shares of the iPhone maker were trading down 2% to $181.12 on the NASDAQ. Not all companies are feeling the pinch, with Dialog Semiconductor advising it did not see the same bottom line hit as other suppliers due to the use of its power management technology elsewhere. A-series chip foundry TSMC is also insulated by production cuts which it says it has not yet seen, as it is gaining orders to use its 7-nanometer fabrication process with a number of other major clients. The share price itself has also come under scrutiny by HSBC, suggesting Apple could potentially trade at a higher earnings multiple that brings it in line with firms producing luxury goods. Ultimately Apple's shares are deemed not "particularly expensive," and undeserving of the multiple increase. Rambourg would like to see "complementary strategies" from the company. Specifically, the analyst would like wider reach for all of Apple's services like Apple Pay, a stronger push of augmented reality technology, and "pure innovation" without specifying what in particular he'd like Apple to expand into. Keeping the multiple the same is also seen as a bad thing for the high stock price, due to the earnings and revenue growth being slow. "As Apple moves from a very high double-digit revenue growth to a more pedestrian mid single-digit, the slowdown in the second derivative of growth with weigh on the stock's investment case," HSBC adds. Acknowledging Apple's interest in no longer providing unit sales for hardware in favor of highlighting the service gross margin, HSBC warns "investor enthusiasm could be the victim of a lengthy transition phase as the focus shifts." Samsung and Google do not report unit sales figures. Regardless of continuing analyst fears over the cessation of unit sales figure reporting, Apple is expecting its largest holiday quarter ever, with a revenue range of between $88 billion and $92 billion.